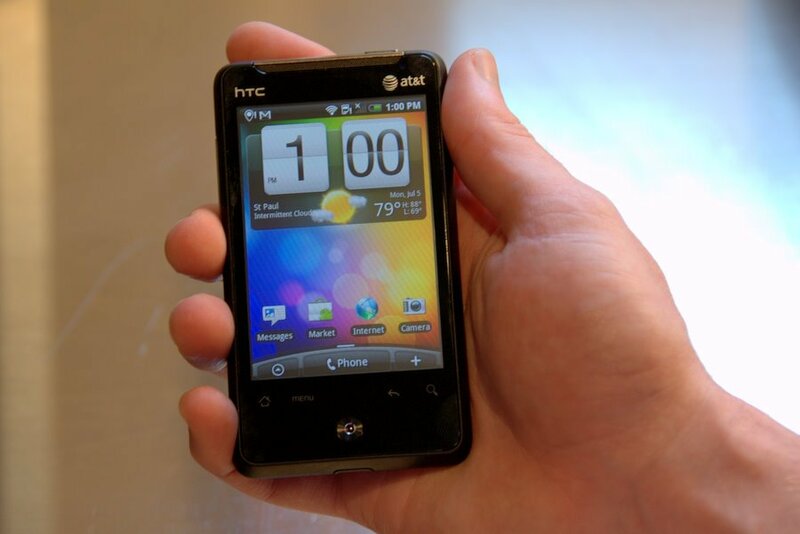 Android is now live on AT&T with the new HTC Aria! OK, that may not be completely true since Motorola launched the Backflip on AT&Ts network a few months ago, but if any of you have actually played with that phone, you know that’s it’s likely the worst Android phone ever released in the U.S. market. 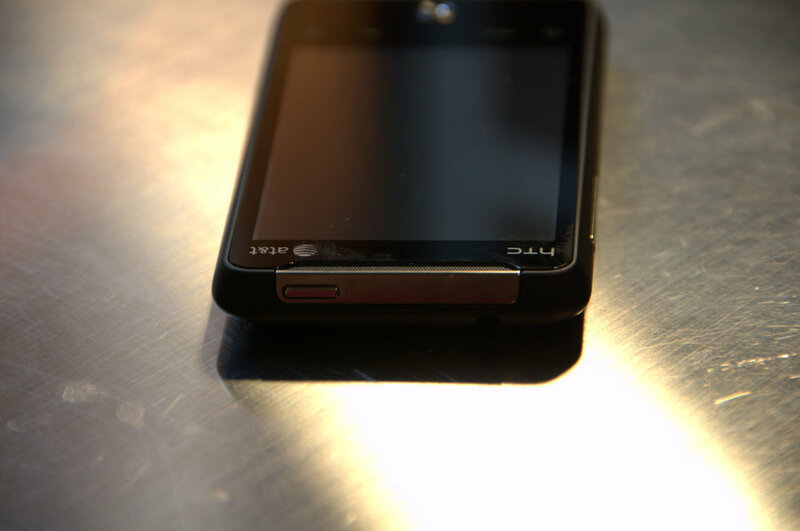 Yes, you can get the Nexus One from Google that works with AT&T 3G bands, but since you can’t actually get the phone from AT&T, we’re not going to count that one. The HTC Aria is the smallest Android phone from HTC to launch on this side of the pond, but that doesn’t mean this phone is a slouch in any way. 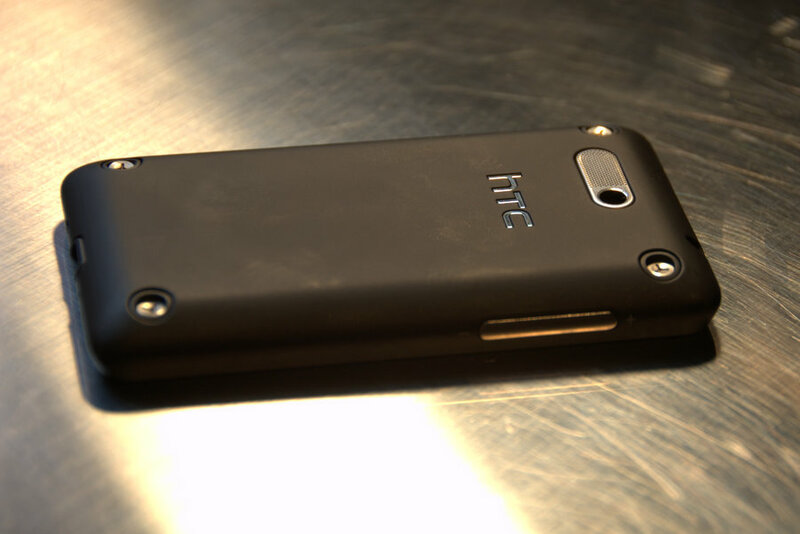 At first glance, the HTC Aria may look to be a unique design from HTC. The sleek black panel on the front with capacitive buttons under the screen and the soft-touch back cover give you the sense of a miniature version of the DROID Incredible on Verizon. 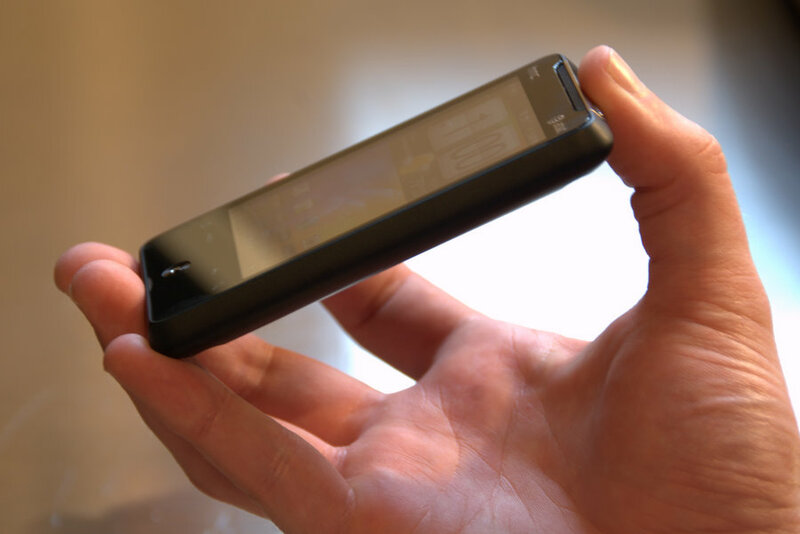 But if you’re familiar with HTC’s windows Mobile lineup, you’ll definitely recognize that the body of the HTC Aria is nearly an exact replica of the HTC HD Mini. 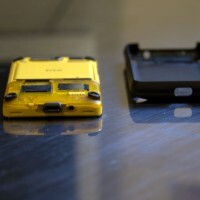 In fact, the only physical differences between the HTC Aria and HD Mini are the capacitive buttons and the addition of the optical joystick on the Aria. 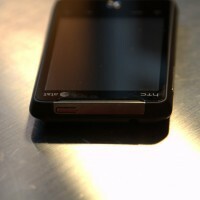 The top of the HTC Aria features the power button and 3.5mm headphone jack. 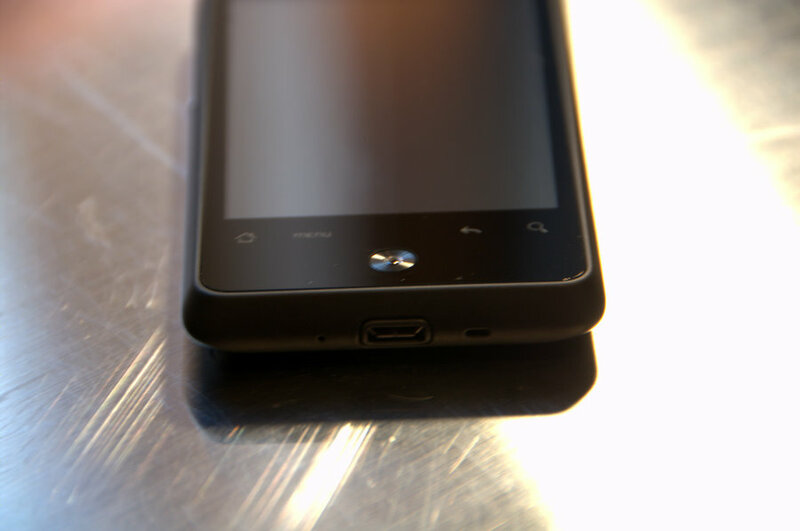 The left side of the Aria has the volume toggle and the bottom of the phone has the Micro USB slot and microphone. 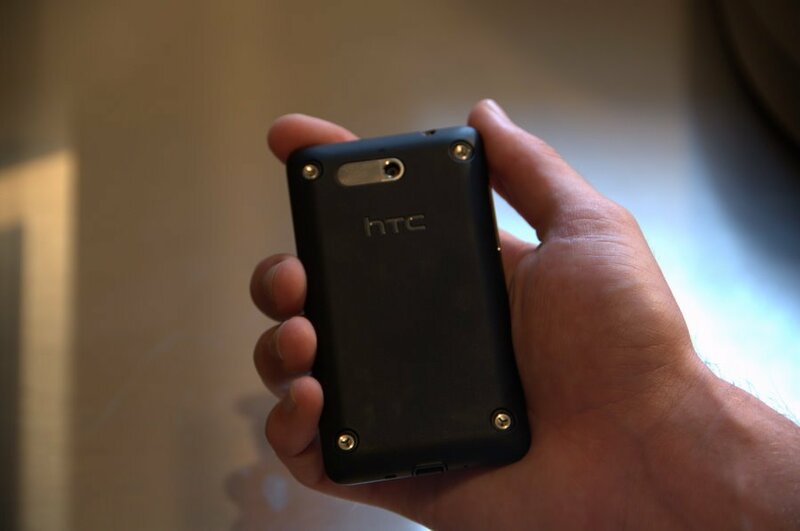 Flipping the phone over reveals the speakerphone speaker, 5 megapixel camera HTC logo, and the same exposed screws of the HTC Mini in the four corners of the phone. 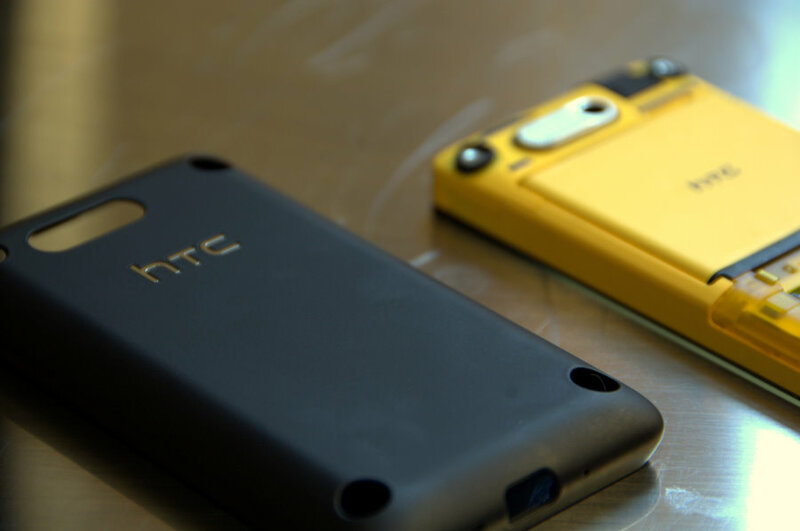 Once the unibody cover of the HTC Aria is removed, it reveals the bright yellow, exposed interior of the phone. 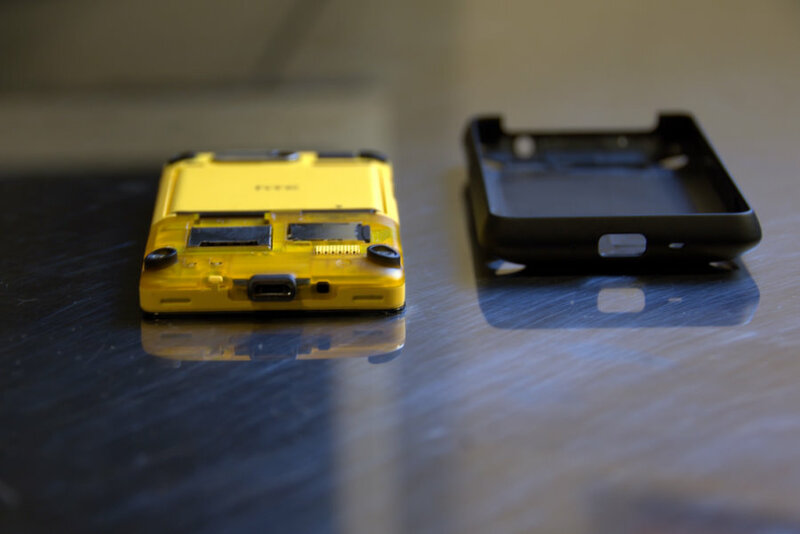 HTC has even equipped the lower portion of the phone’s interior with a semi-transparent yellow plastic so that users can get a glimpse at some of the internal circuitry that powers that Aria. Deeper within, HTC has equipped the phone with a 600 MHz Qualcomm processor, 512 MB ROM, 384 MB of RAM, AGPS, Bluetooth 2.1, Wi-Fi, and a 1200 mAh lithium-ion battery. 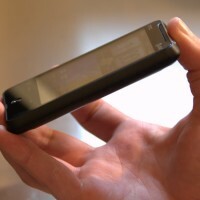 The 3.2 inch 320 X 480 HVGA capacitive screen on the HTC Aria is the same size and resolution as what many are used to from the Dream, Magic, and Hero, but the smaller body of the phone makes the screen look and feel deceptively smaller. 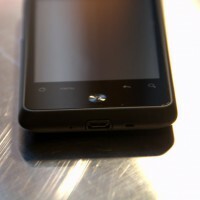 The phone itself measures in at 11.7 x 57.7 x 103.8mm and weighs only 115 grams. 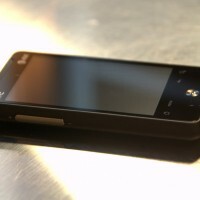 While numbers don’t seem too impressive, the Aria’s length is nearly 10mm less than the HTC Magic. 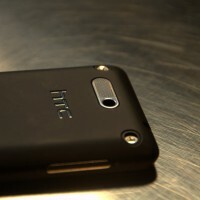 For over a year now, HTC has been releasing all of their Android handsets with HTC Sense. If you have played around with the DROID Incredible, Desire, EVO, or the Hero, you probably already know what to expect. HTC Sense adds a plethora of widget options in addition to the standard Android selection and customizes the user interface of the operating system. 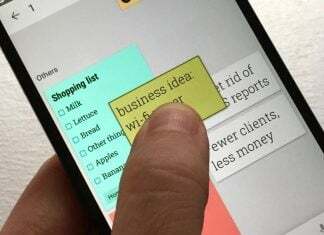 Some may thing that Sense simply gives Android a new paint treatment, making it look better, but in reality it adds functionality that is not readily available in Android 2.1. One good example of HTC Sense customization is HTC’s contact application which allows you to manage all your communications between various contacts from within the one application rather than having to check your sms, email, Facebook, or call phone application to see when or how you were in contact with someone last. Other smaller examples like the integration of weather forecast into the agenda view of the calendar or the addition of a stopwatch and timer to the clock application give phones with HTC Sense a more refined user experience on the Android platform. Like most other carriers, AT&T has chosen to get their hands dirty on the software side as well. 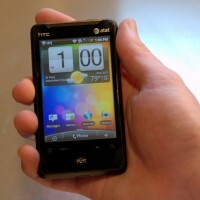 AT&T has loaded up the HTC Aria with AT&T family Map (useful for tracking down family members as long as they are on AT&T), AT&T Hot Spots, AT&T Navigator (a rebranded version of TeleNav’s GPS service), AT&T Radio, Mobile Banking, Where, and Ypmobile. While we’re sure that AT&T is simply trying to add some useful features into the Aria, most of the apps can be downloaded from the Android Market and the others simply try to tie you into AT&T’s services. 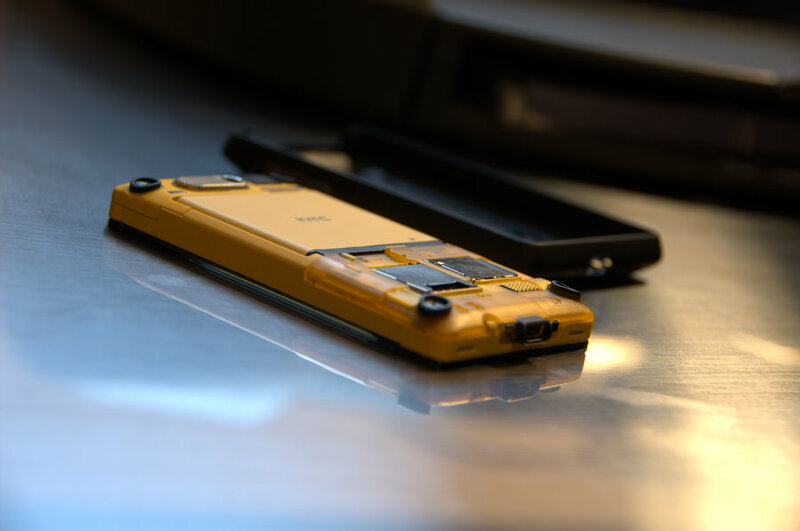 Advanced Android users might find it a little disappointing that AT&T has crippled the HTC Aria in the same way they did with the Motorola Backflip. Users do not have the option side load applications on the phone since AT&T has limited application installations only to the Android Market. For most, the omission of this typically standard option will not mean much since over 99% of all Android applications are in the official Android Market. However, there’s that rare occurrence when a user will come across an application or beta version that it only available through a developer’s website. 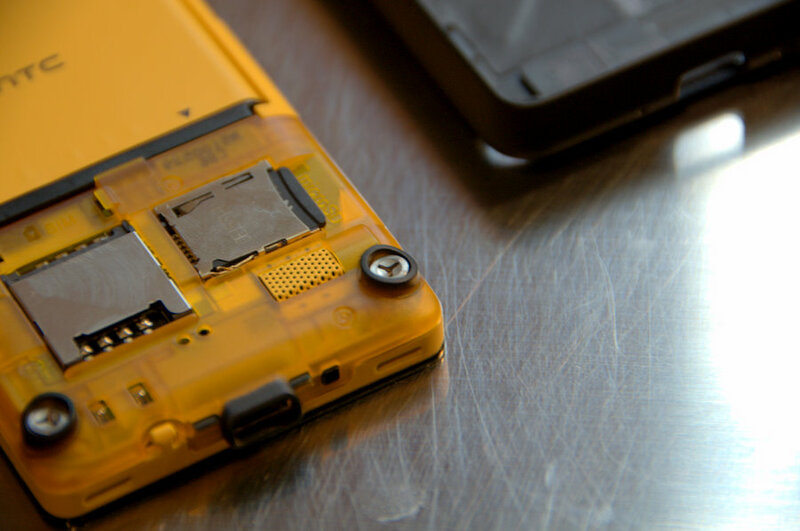 AT&T claims that the installation restriction is in place for the user’s safety, but we are pretty sure that AT&T is simply trying to protect their network, not their customers. Taking pictures with mobile phones has always been a tricky subject for us. We love the idea of having one device that can handle all our digital media needs, but the reality is that image sensors and the lenses used for most on more handsets are simply not up to par with even your cheapest digital camera from Canon or Nikon. The HTC Aria is no acceptation. The 5MP sensor does a descent job at capturing pictures when you have no other option, but the slow shutter speed makes pictures form the Aria prone to blurriness. 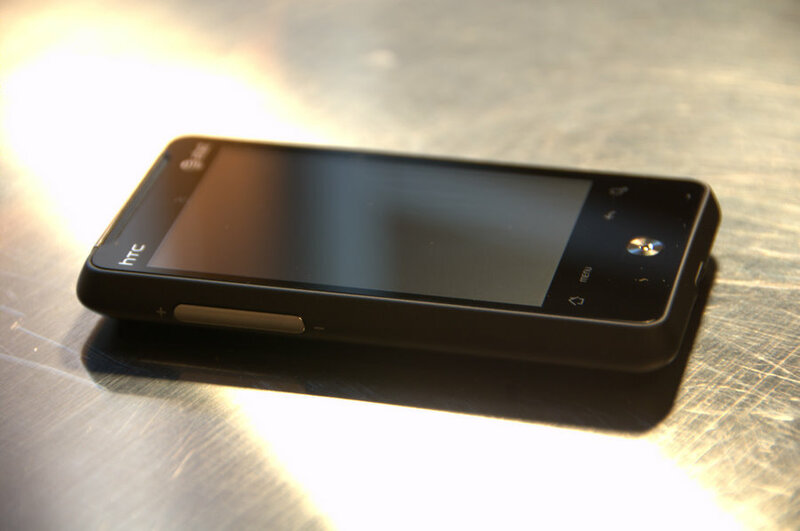 Unlike most of HTC’s newer handsets, the Aria does not come equipped with an LED flash. Some might think the omission of a flash these days is a severe mistake, however we might simply disagree. Having used the majority of HTC’s newest devices, we can safely say that use of the LED flash for pictures does not significantly increase image quality in low light situations. If all you’re using your pictures for is a quick Facebook or Twitter update, we’re sure they will turn out just fine. Just don’t expect to get any descent 4×6 prints out of any of them. Probably one of the most impressive things about the HTC Aria is the phone’s battery life. The 1200 mAh lithium-ion battery that comes with the phone is able to easily last through an entire day of heavy handset use. While testing out the Aria I would typically unplug the phone at around 6:30 in the morning and not plug it back in until going to bed between 10 or 11 p.m. Throughout the day I would use the phone for email, Twitter, Facebook, web browsing, a handful of games, and a good 15-20 minutes of browsing the Android Market. If you are not a power user or don’t use Google Sync, the HTC Aria might even make it through two days before needing a recharge. 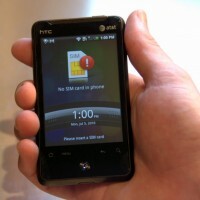 While Android and iOS are in an intense battle for the consumer segment of the smartphone market, the HTC Aria is in no way in direct competition with the iPhone 4. Features and specs just don’t match up. 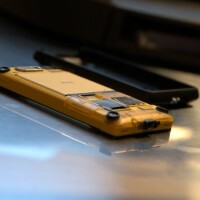 However, there are plenty of AT&T customers looking to upgrade from a feature phone to a smartphone and have no interest whatsoever in getting an iPhone. 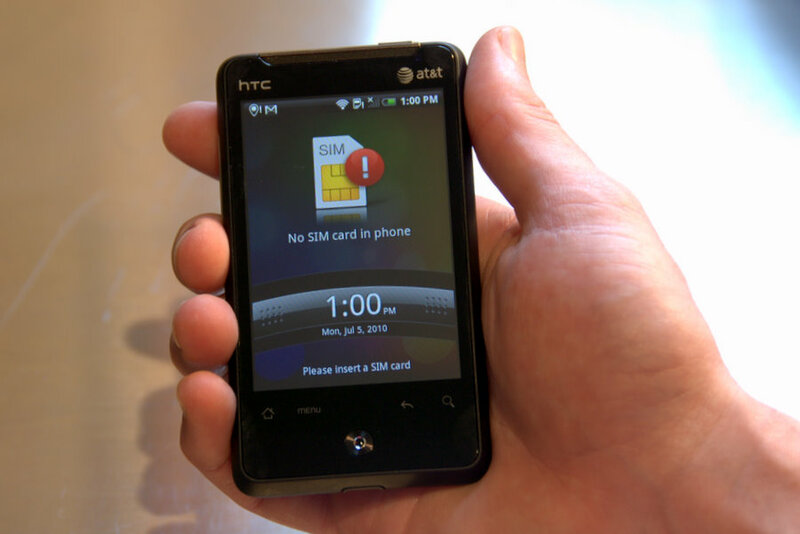 The HTC Aria is definitely an entry-level Android handset, but it’s a few steps ahead of the HTC Hero on Sprint or the DROID Eris (which Verizon is phasing out). 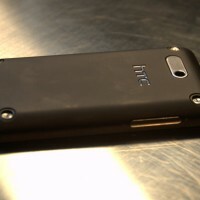 AT&T customers who have been waiting for a decent Android phone to come their way will definitely be pleased with what the HTC Aria has to offer. 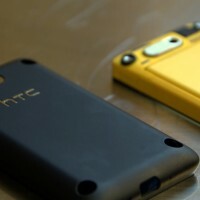 This review was courtesy of Nick Gray of HTCSource. 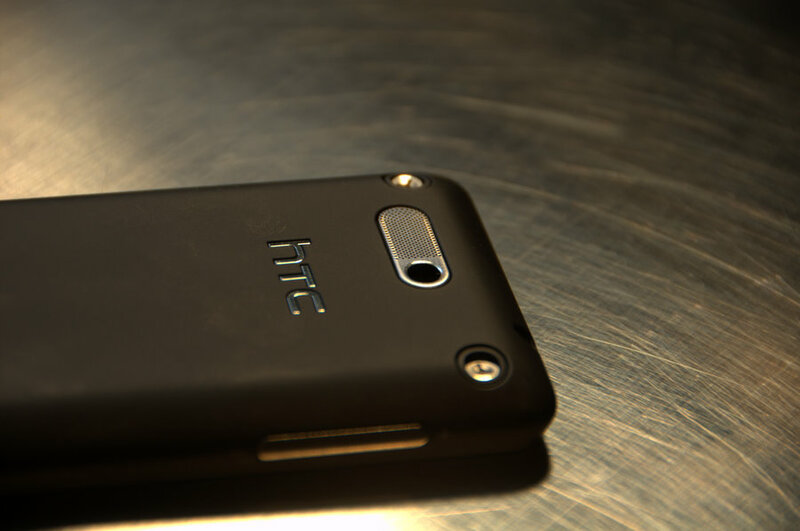 If you’d like to keep up with more HTC news and rumors, we definitely recommend his site!